The experienced implant dentists at Aspenwood Dental Associates are proud to provide accurate, complete information about tooth replacement options. Below, we dispel some of the common myths and misconceptions related to dental implants. Please contact us with any further questions on your mind. People will be able to see my dental implant. Dental implants look like natural teeth. They blend seamlessly into the appearance of your smile, in part because our dentists know how to create customized restorations. The restorations are made of material that mimics the luster and light-reflecting properties of your natural teeth. The price alone means I'm not a candidate. The initial costs of any procedure do not include its total cost over your lifetime. Looking ahead, your total costs for dental implants are relatively low compared to other options. The reason is that dental implants are the longest-lasting solution for the replacement of missing teeth that we have in modern dentistry. Replacement costs will not be a factor frequently, if at all. I'm probably not a good candidate. Many people are good candidates for dental implants. The only way to know for sure is to visit our experienced dentists. They will describe all of the treatment choices you have for restoring your smile. We want you to feel confident about whichever type you ultimately choose. Dental implants require the same care as your natural teeth: brushing, flossing and visiting the dentist. You will be able to eat the same foods, chew gum, laugh out loud – dental implants do not require special care. I'm probably too old for dental implants. Tooth loss among Americans over age 65 is common. There is no upper age limit for dental implants, and our 5280 Top Dentists will review your current health and determine if you are a candidate. Tooth replacement is important at any age. Missing teeth make it difficult to chew and to speak. 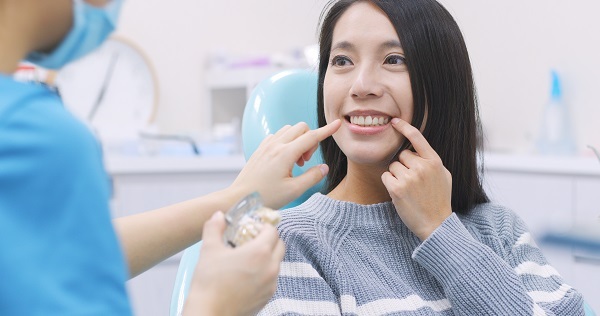 The gaps may make you feel self-conscious about your smile, and your remaining teeth may be drifting and getting crooked because of these gaps. I could choose any dentist for implants. You should choose an experienced, qualified dentist to place your implants. Your dentist should perform this procedure regularly and be able to show you testimonials from past patients. At Aspenwood Dental Associates, we will also show you before-and-after images of our implant patients, so that you can see what typical results look like. Please schedule a visit at our office to find out if dental implants are right for you. Our experienced front office staff is available to answer any questions you have and to arrange your consultation. You can reach Aspenwood Dental Associates and Colorado Dental Implant Center in Aurora at 303-751-3321.